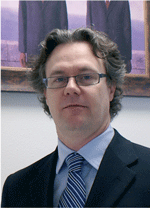 Gabriel Rouchon founded Swiftech® in 1994 and serves as its CEO and Chief Thermal Architect. Thanks to an intense focus on problem solving, attention to details, and relentless commitment to excellence, Rouchon has shaped Swiftech® into an innovating company dedicated to performance, and un-compromised quality. Rouchon was nominated as a finalist for the Ernst & Young Entrepreneur of the year 2003 award, and owns a US patent for the helicoid pin design, one of the foundations for Swiftech’s heatsinks success. He has been credited by industry observers for numerous contributions leading to shape today’s liquid-cooling industry. Prior to founding Swiftech, Rouchon has held various executive positions including President of Secma International USA, a manufacturer of laser imagesetters, and VP of Sales at Kis Corporations, a manufacturer of one-hour photo minilabs. Rouchon graduated from the Paris (France) Institute of Technology with an MS Degree. Rouchon and his wife, Heidi reside in Rossmoor, California, and are the parents of three children, Vanessa, Alexandra, and Natasha. Elena Alday is General Manager, she serves as corporate secretary on the Board of Directors, and is responsible for the company's financial and purchasing operations. 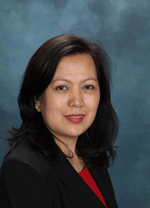 Alday joined Swiftech® in 2001 where she began as an accountant. Prior to that, she worked as an accountant from 1993 to 2001 with Medac Corp, a medical billing and collection agency. Alday holds a Bachelor’s Degree in Accountancy from Manila, Philippines. Alday and her husband Virgil reside in Norwalk, California and are the parents of two children. Jean Christophe Agobert is an independant member of the Board of Directors, and independant adviser for the company's European operations. 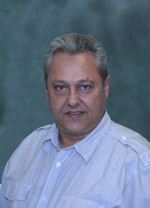 Agobert is the co-founder and Executive VP of bacatá, Swiftech's Master Distributor for Europe. Bacatá is a leading wholesale distributor of Computer parts in the EEC with over $30 million in sales; Agobert has served in this capacity since 1997. Prior to that, he co-founded Blue River Systems a major wholesale distributor of electronic equipment in France with sales in excess of $130 million. Agobert graduated from Paris (France) University with a Bachelor’s Degree in Computer Science, and he lives in the Toulouse area, France. 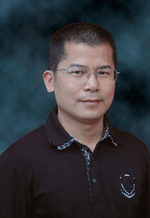 Vice-President Manufacturing Swiftech® Technology (Shenzhen) Co., Ltd.
Alex Chen heads Swiftech's manufacturing subsidiary overseas. Chen joined Swiftech® in 2007. From 1995 to 2007 he was engaged in mold design, product design, and injection molding production control with Lego (Shenzhen). Chen also owned and directed an injection molding production facility. Chen graduated from HuaZhing University of Science and Technology in 1995, with a major in Mechanical Engineering; he resides in Shenzhen, PRC. View all Swiftech IRIS Products!